Browse: Home / Media / I AM USARK! Here is an introduction to what USARK is all about. USARK was founded in 2008 to defend the right of everyone from the largest breeder to the owner of a single pet herp to enjoy his/her passion. USARK is committed to protect the rights of every corner of the hobby. This includes the keepers of the largest constrictors, crocodilians, venomous reptiles, corn snakes, tarantulas, box turtles, leopard geckos, White's tree frogs and everything in between. This is and has been the position of USARK, without debate, from the beginning. 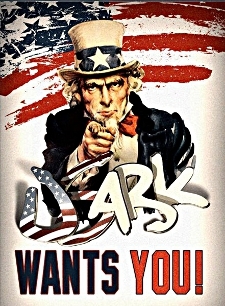 Here we illustrate exactly who USARK is serving as we individually declare… “I AM USARK!" Click on any picture below to see a brief biography of that USARK member and supporter.